• Fixes an issue where debugging in the iOS Simulator could hang on OS X 10.8.4. 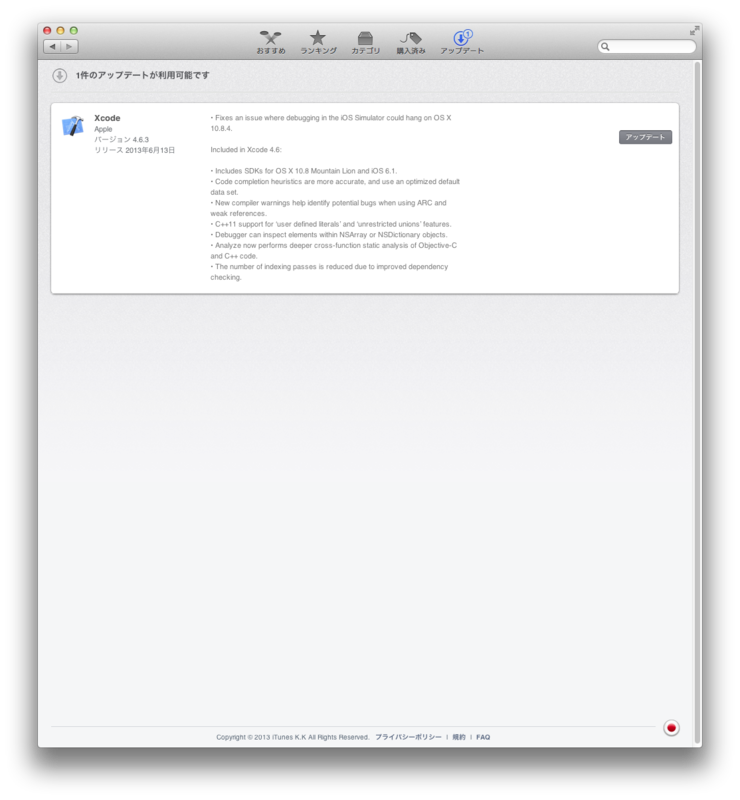 • Includes SDKs for OS X 10.8 Mountain Lion and iOS 6.1. • Code completion heuristics are more accurate, and use an optimized default data set. • New compiler warnings help identify potential bugs when using ARC and weak references. • C++11 support for ‘user defined literals’ and ‘unrestricted unions’ features. • Debugger can inspect elements within NSArray or NSDictionary objects. • Analyze now performs deeper cross-function static analysis of Objective-C and C++ code. • The number of indexing passes is reduced due to improved dependency checking.